This edition contains an analytical introduction offering an in-depth discussion of Smith as an economist and social scientist, as well as a preface, further reading and explanatory notes. Adam Smith (1723-90) was born in Glasgow and educated at Glasgow and Oxford. Two years after his return to Scotland, Smith moved to Edinburgh, where he delivered lectures on Rhetoric. In 1751 Smith was appointed Professor of Logic at Glasgow, but was translated to chair of Moral Philosophy in 1752. The Theory of Moral Sentiments was published in 1759, and The Wealth of Nations in 1776, the same year as the Declaration of Independence. 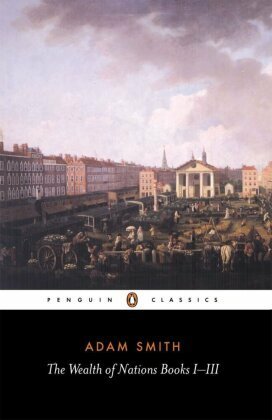 If you enjoyed The Wealth of Nations, you might like Karl Marx's Capital, also available in Penguin Classics.